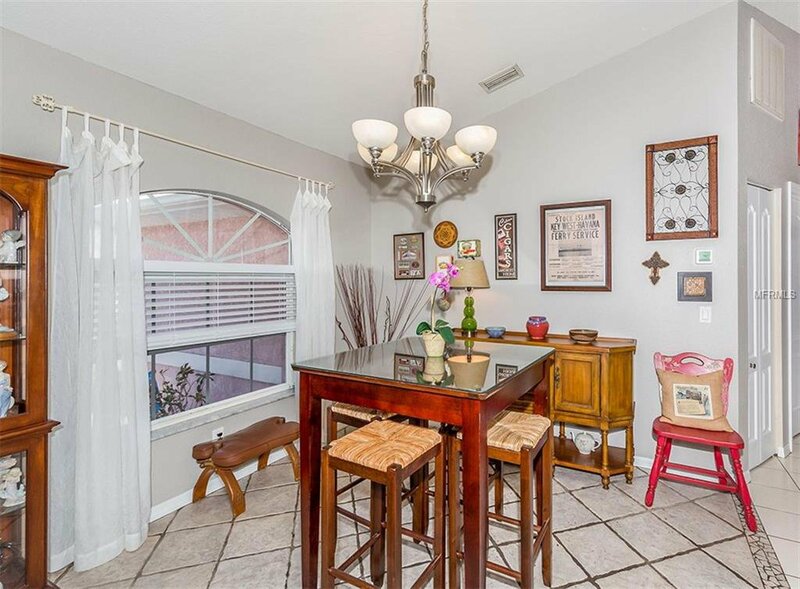 Move in ready 3/2/2 with all the important and valuable upgrades recently completed for you! 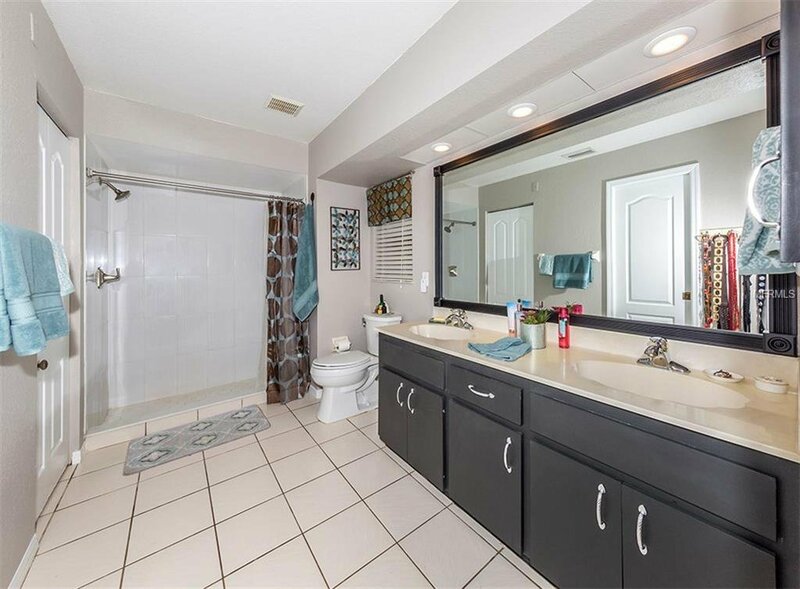 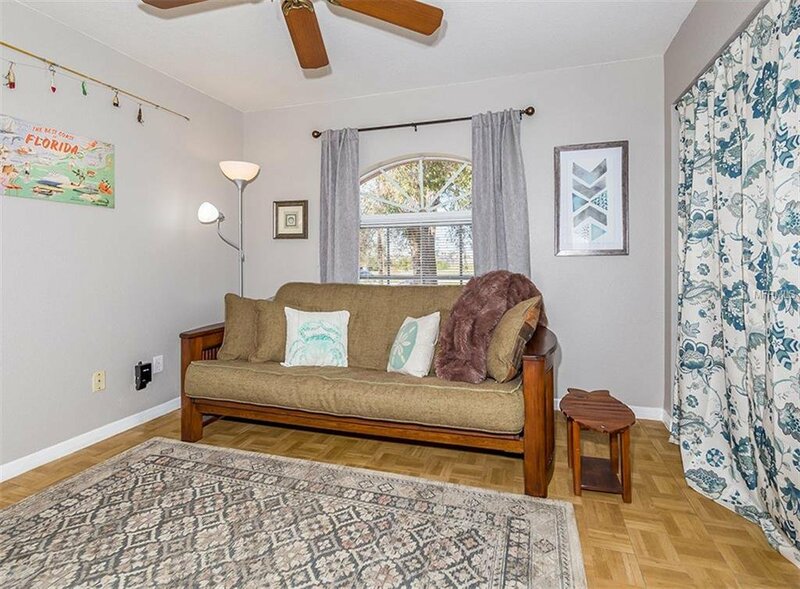 This home has so much NEW you won’t have to worry but just move in and enjoy, including: Roof, A/C, water lines re-plumbed, spacious wood deck, fresh interior paint, updated bathrooms, ceiling fans, light fixtures, front doors, and more! 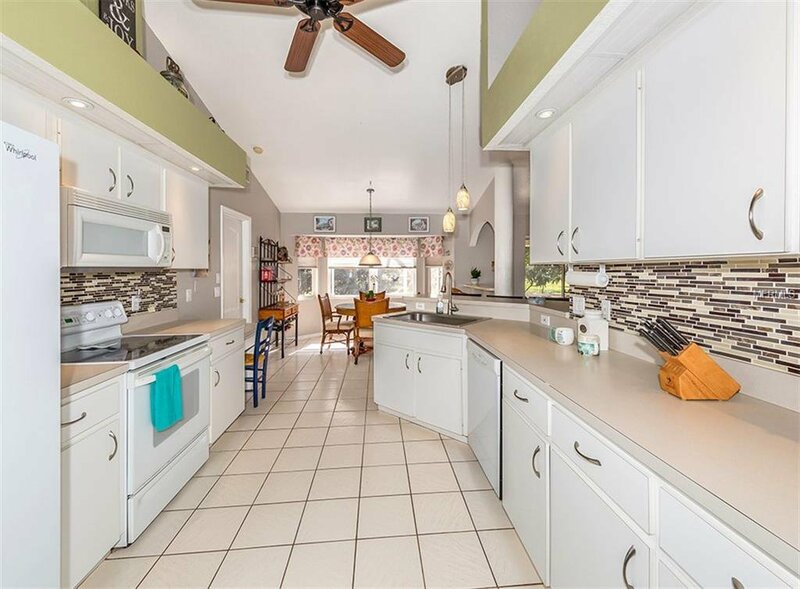 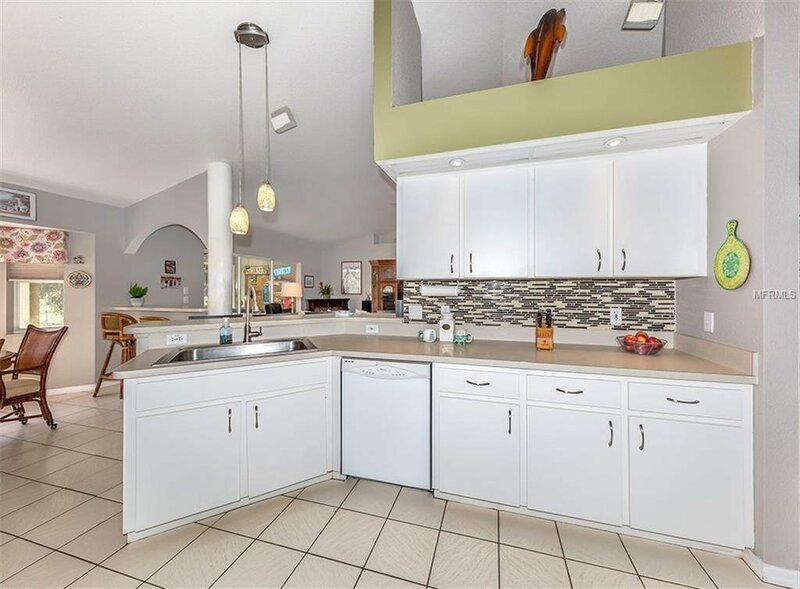 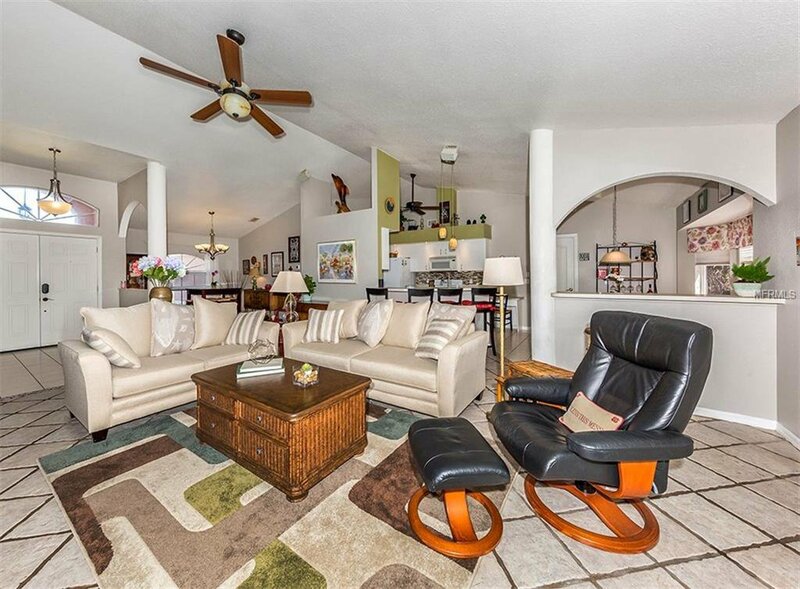 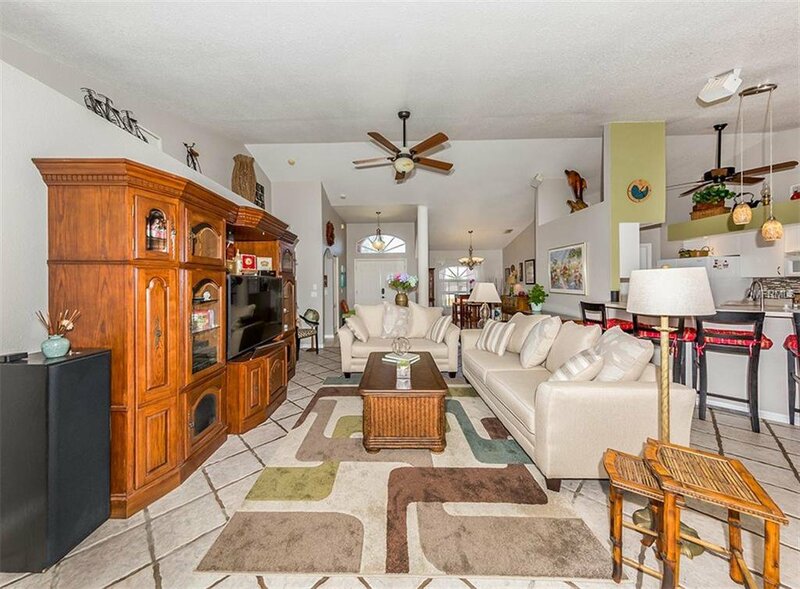 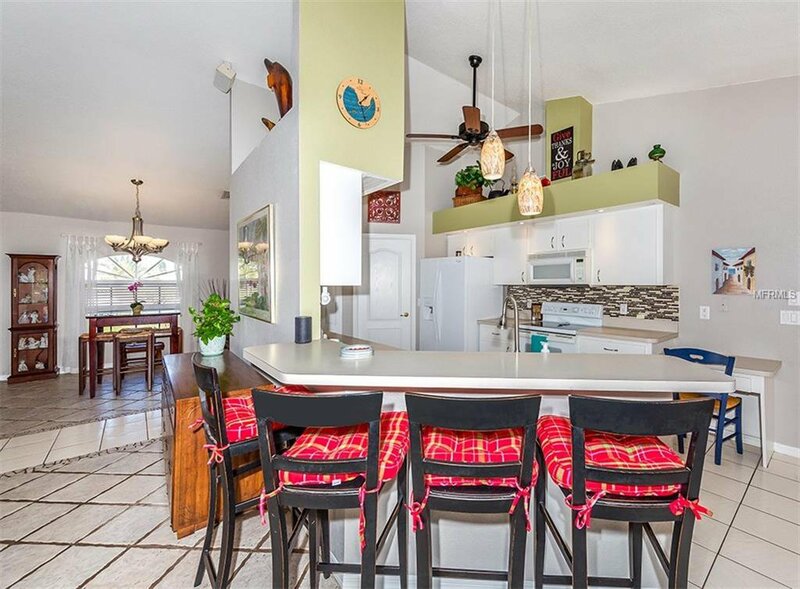 This home lives large as it features a modern split bedroom floorplan, open great room with vaulted ceilings, transom windows, decorator niches, and archways. 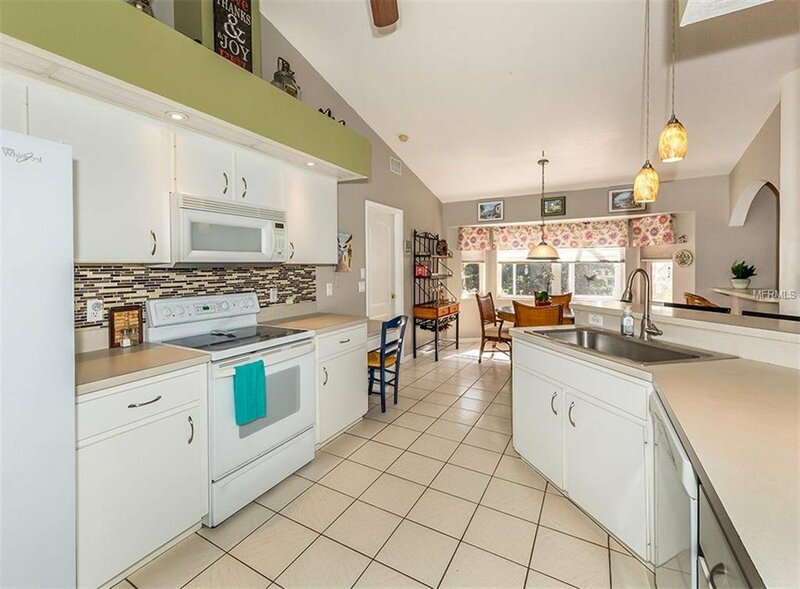 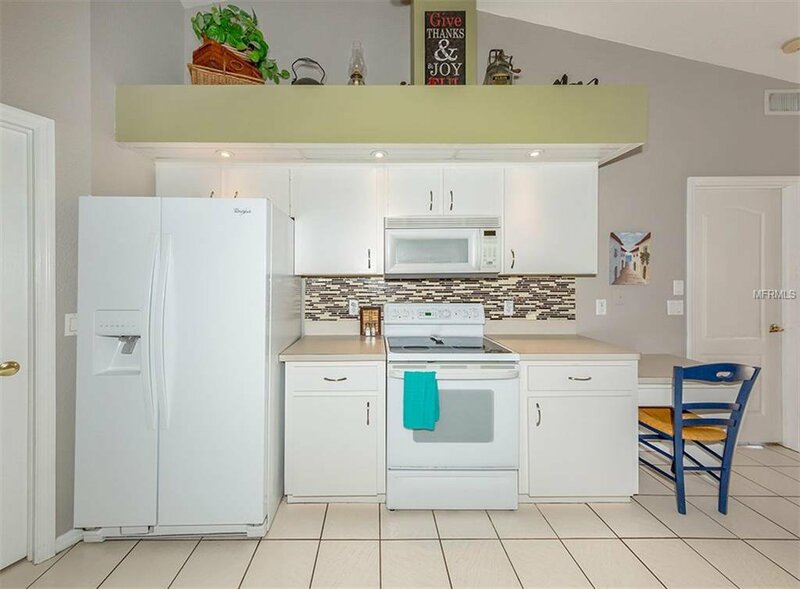 The kitchen is neutral with white cabinetry & appliances and has an accent of color with a tasteful tile backsplash and decorator lighting. 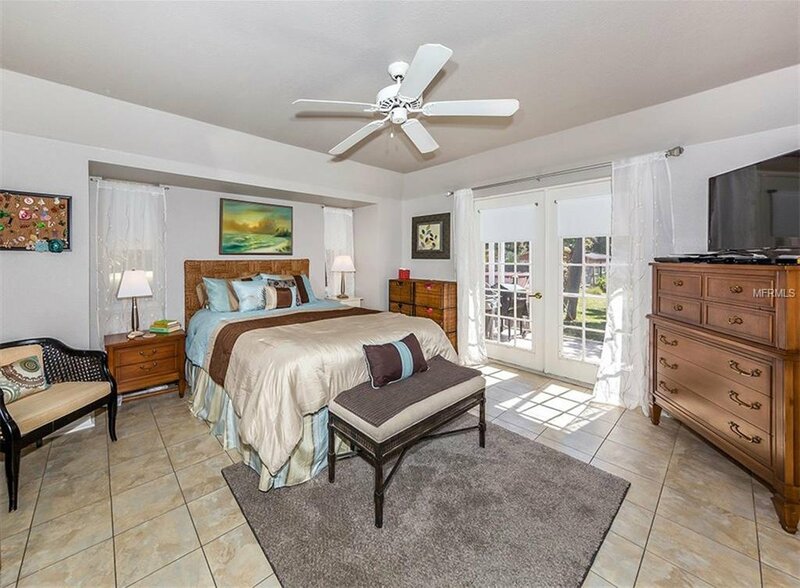 The owners retreat has tray ceilings, large walk-in closet, an updated en-suite bath, and elegant French doors opening to the backyard oasis. 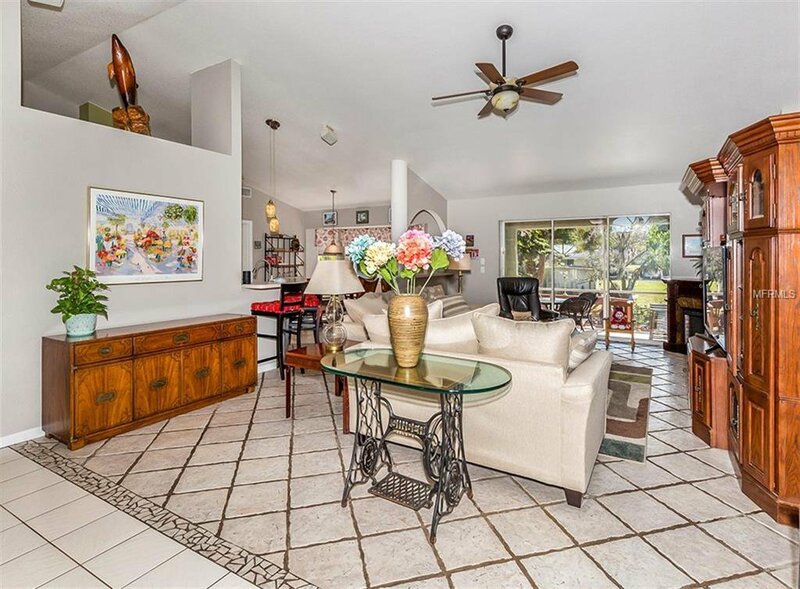 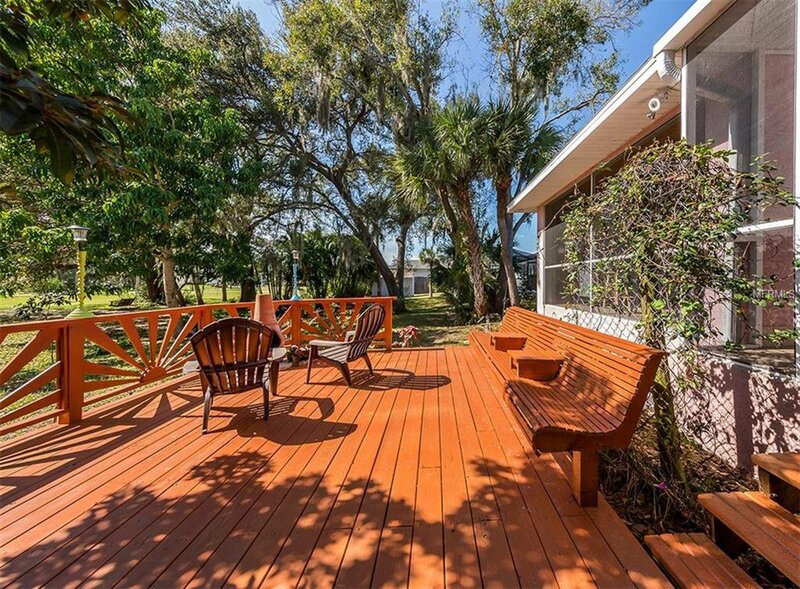 The outdoor space of this home provides you with plenty of areas to relax, play, garden, or entertain. 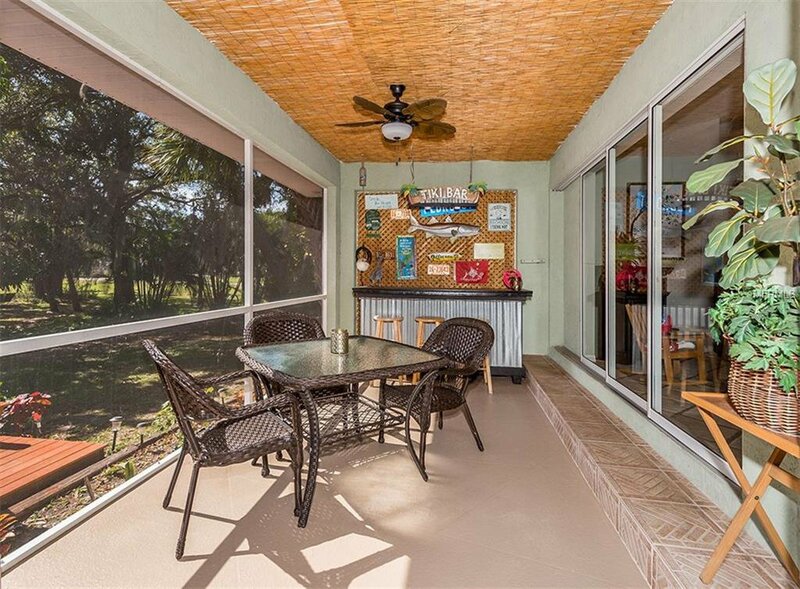 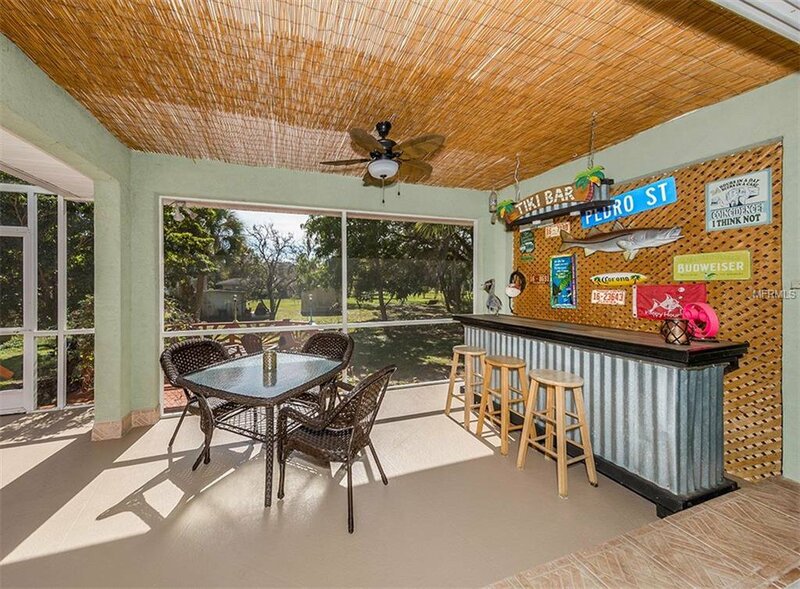 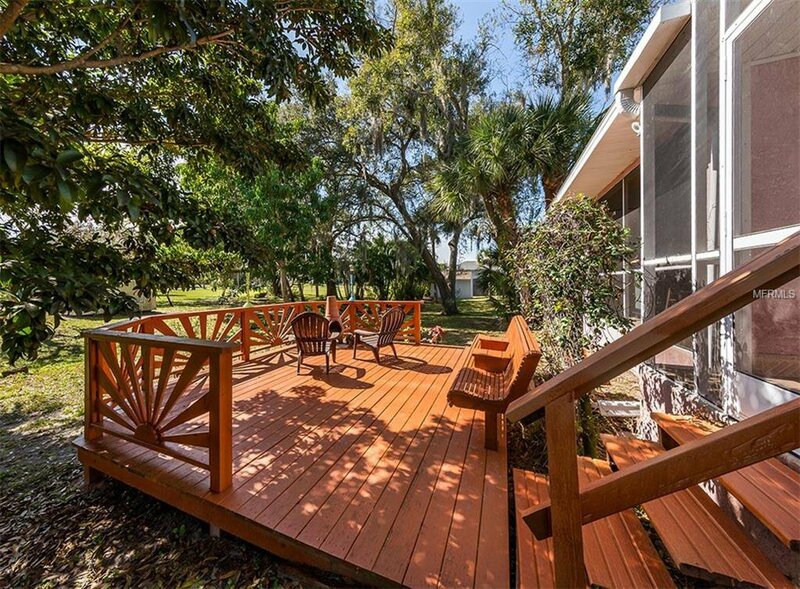 A large lanai has covered space and sunny spaces that overlook the new deck – perfect for enjoying a firepit in the evening. 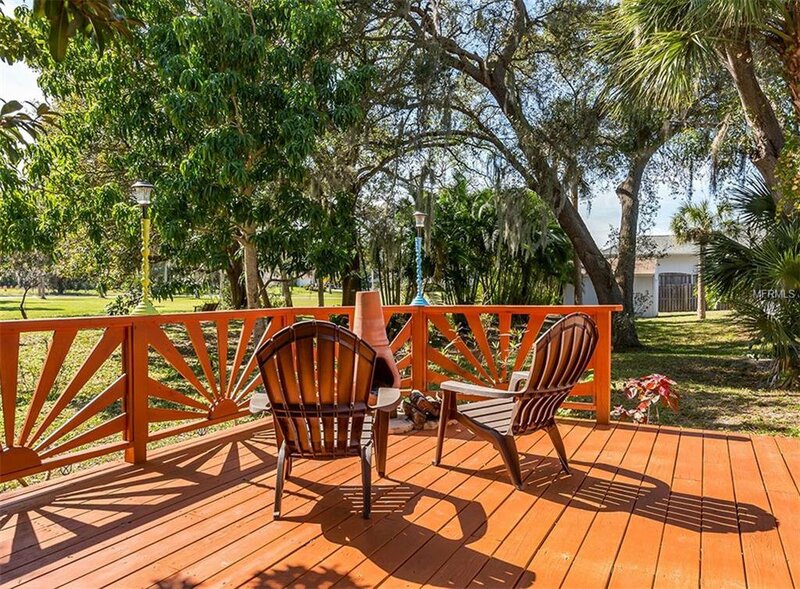 The backyard is spacious and has numerous established fruit trees for your enjoyment. 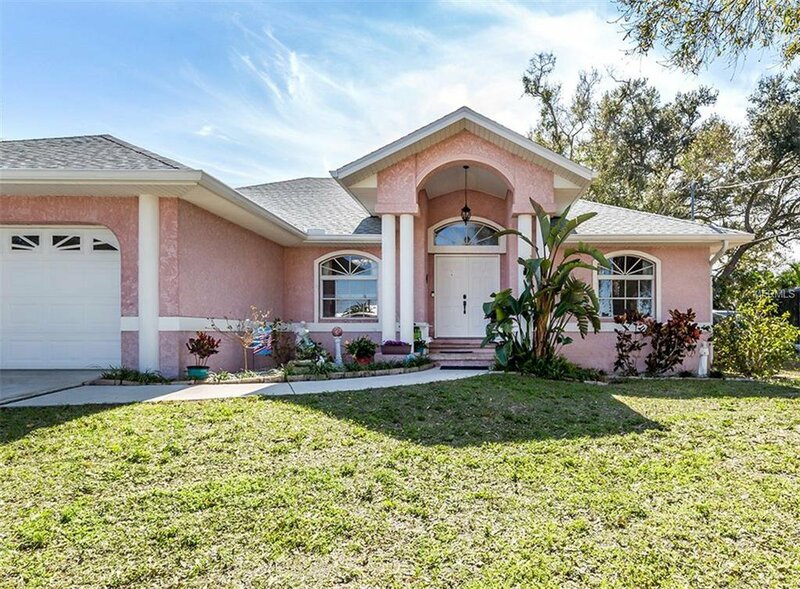 The home is constructed above base flood elevation so flood insurance is very reasonable, and this home is already connected to public water. 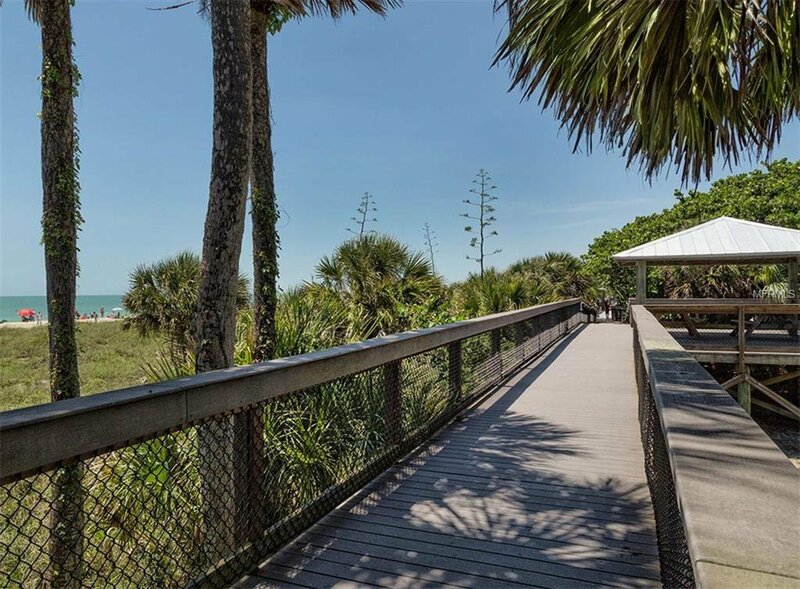 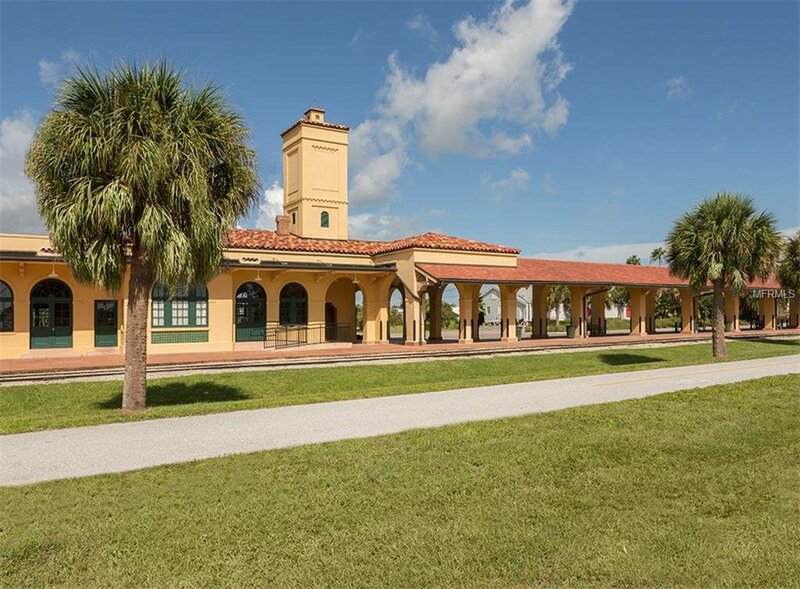 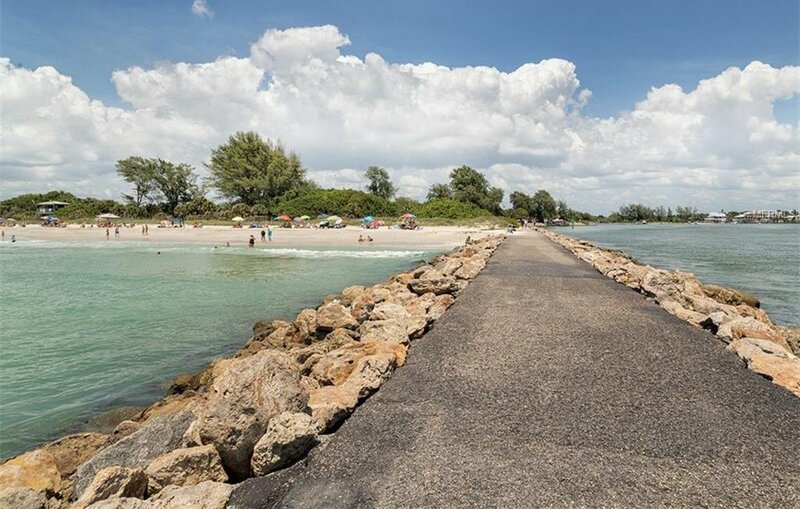 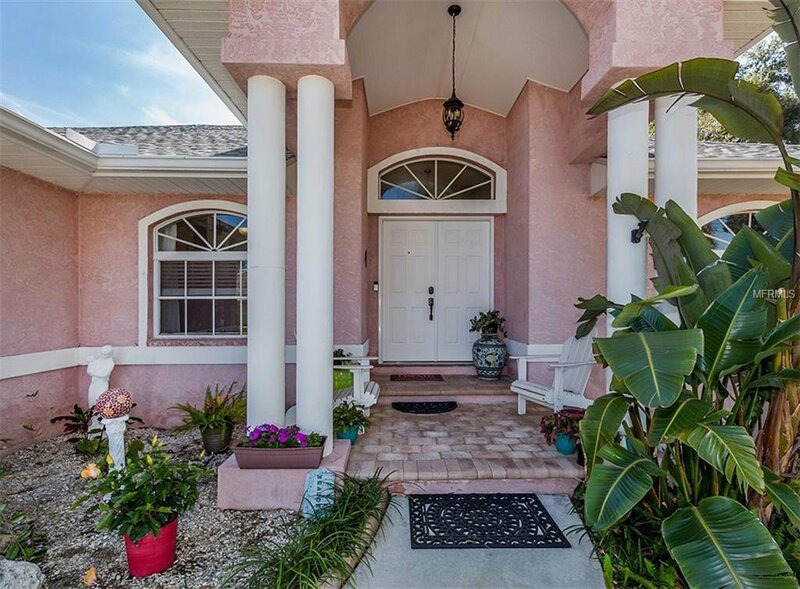 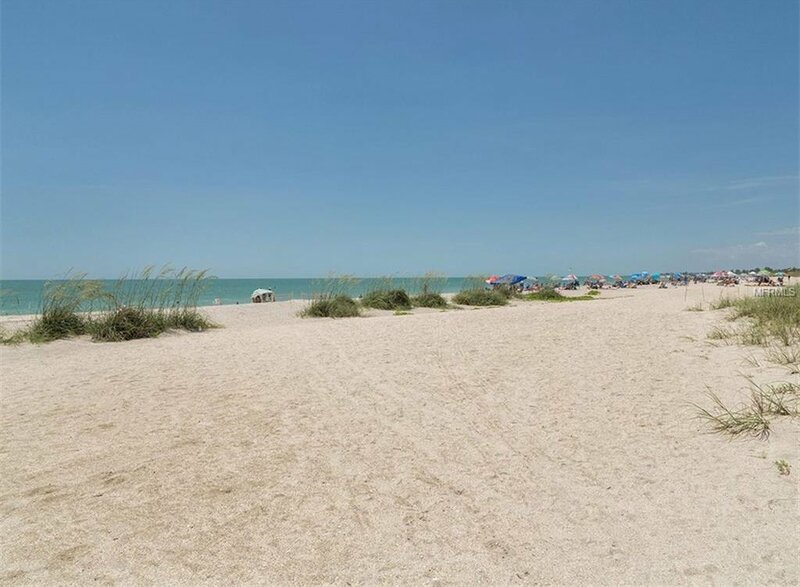 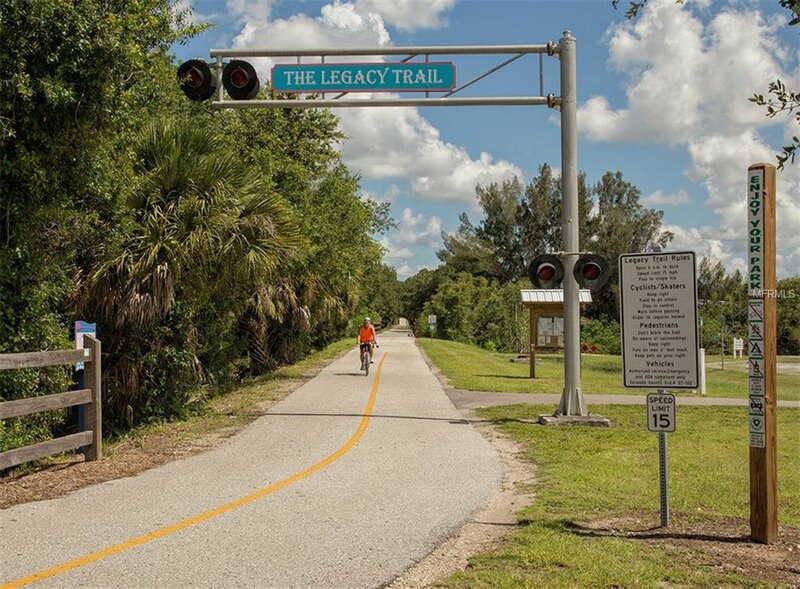 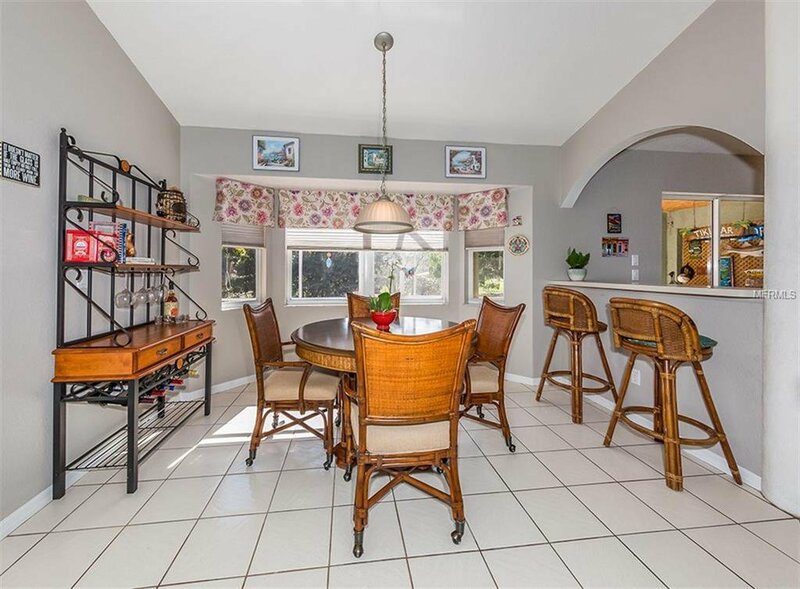 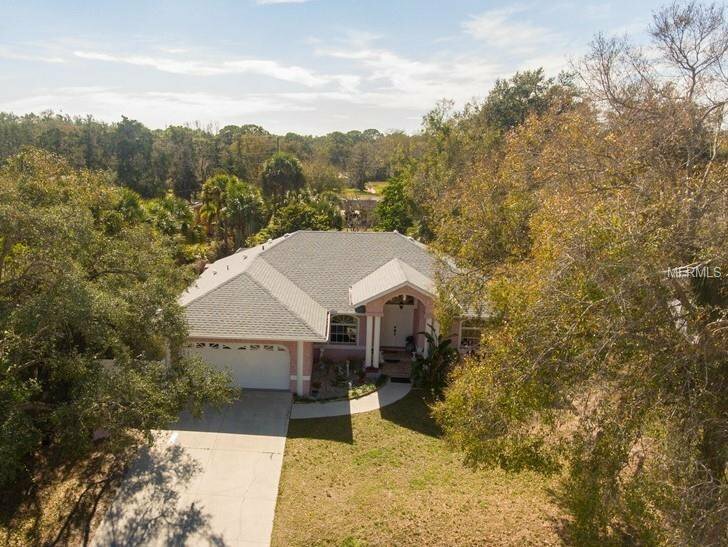 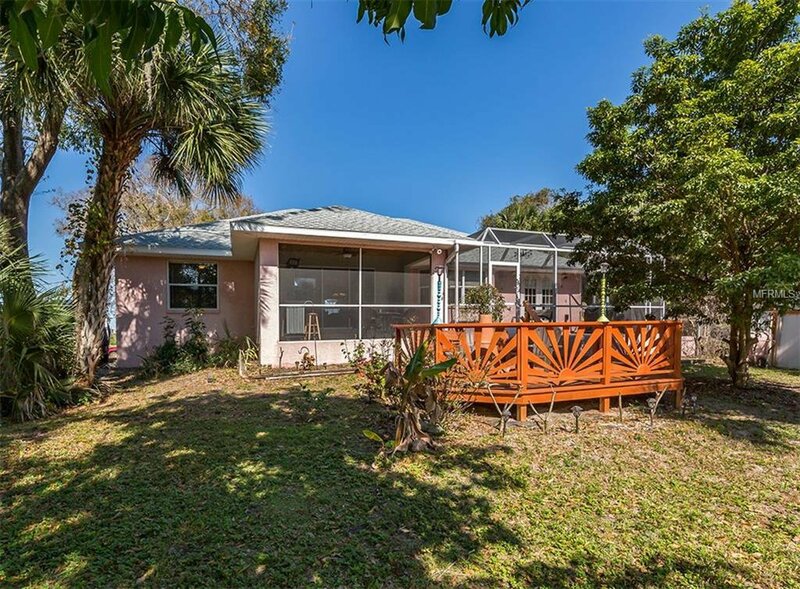 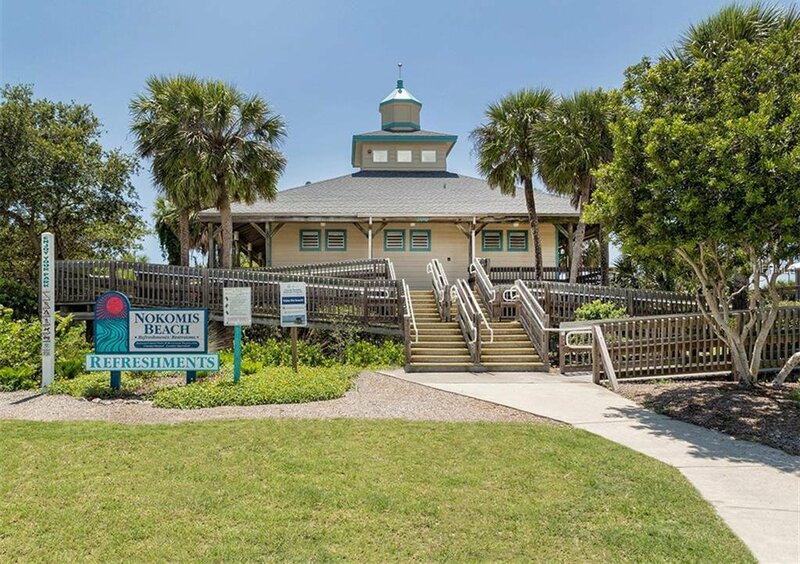 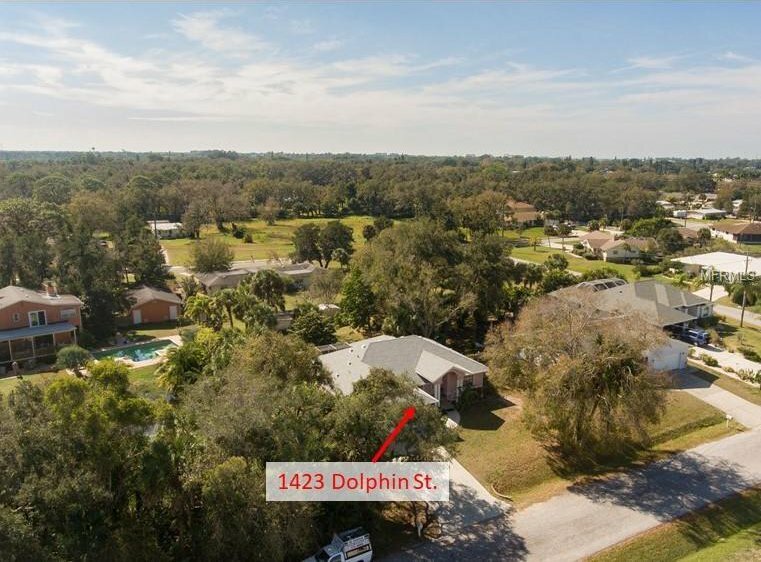 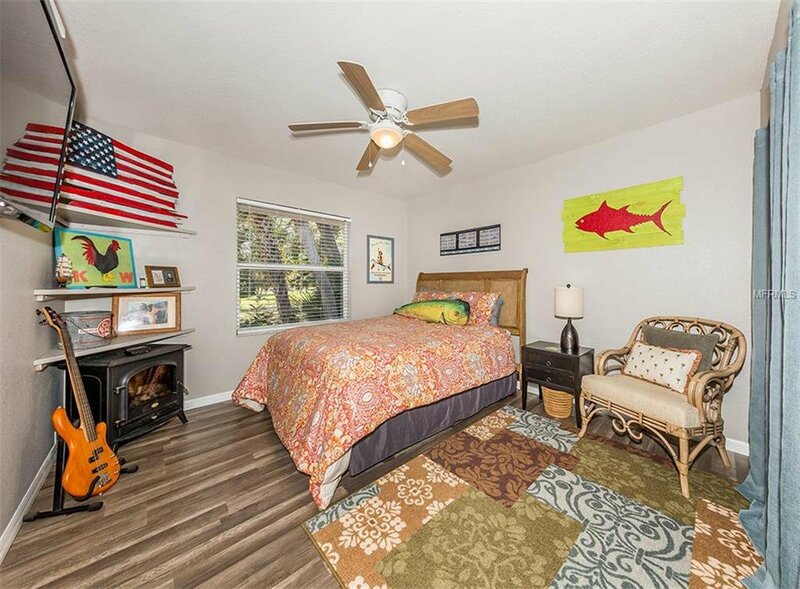 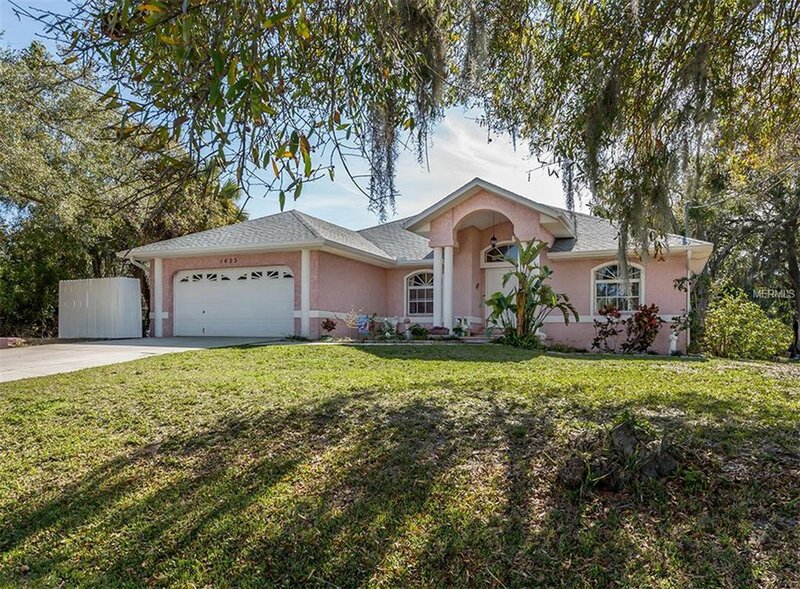 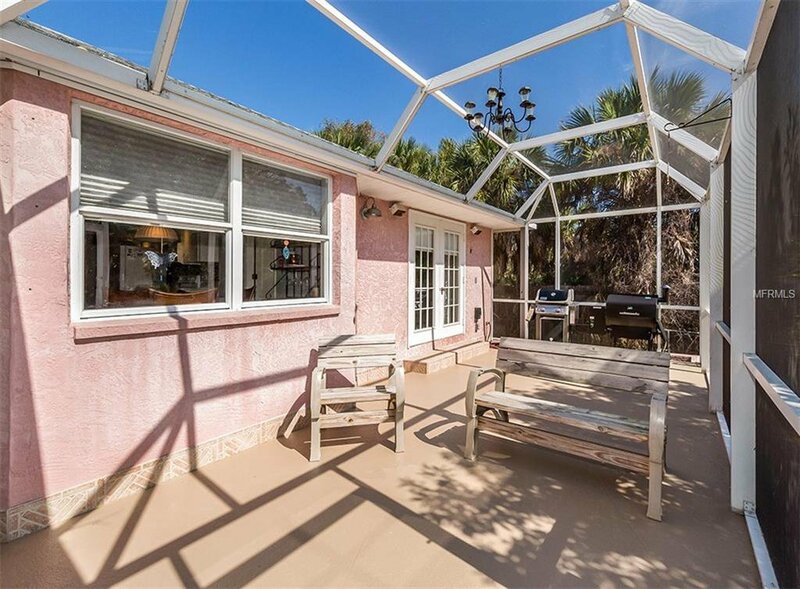 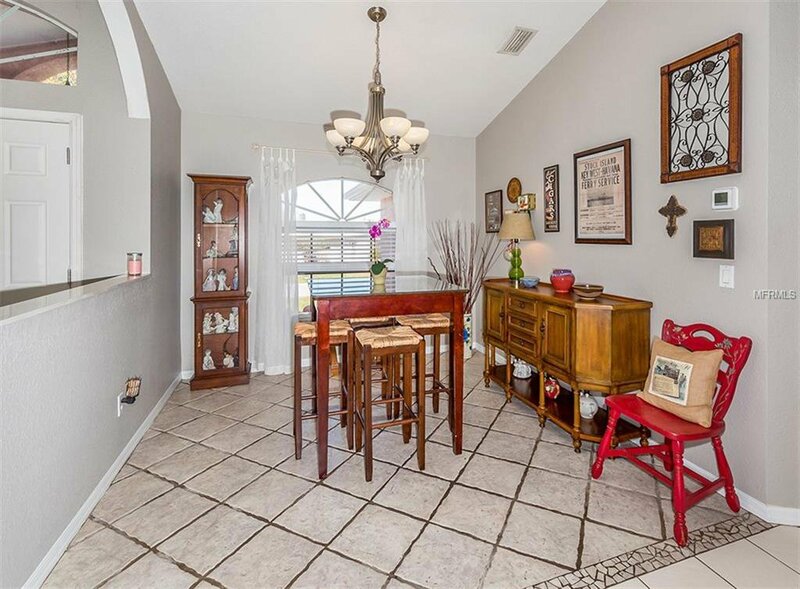 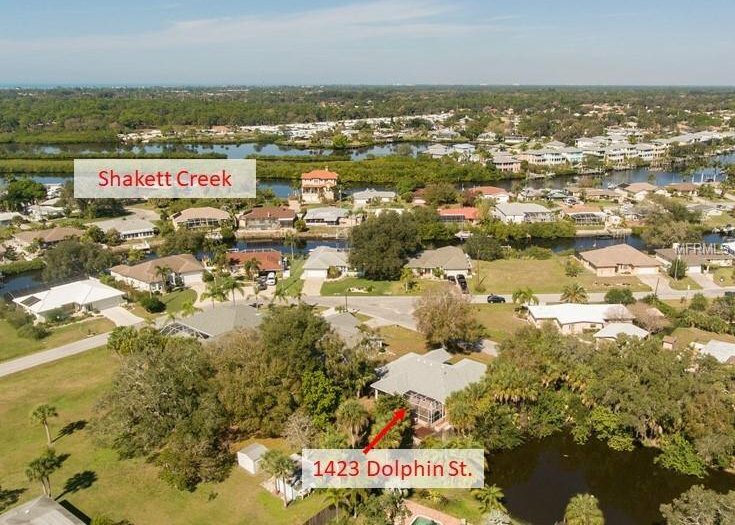 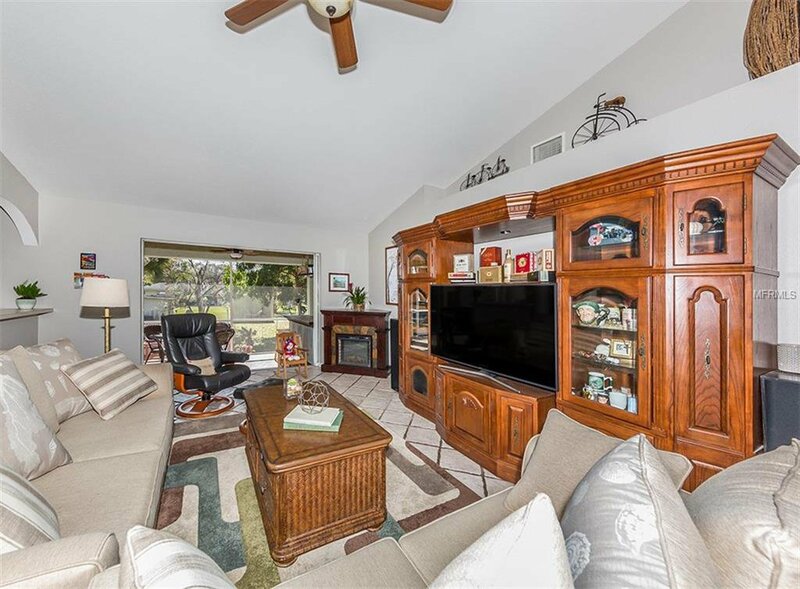 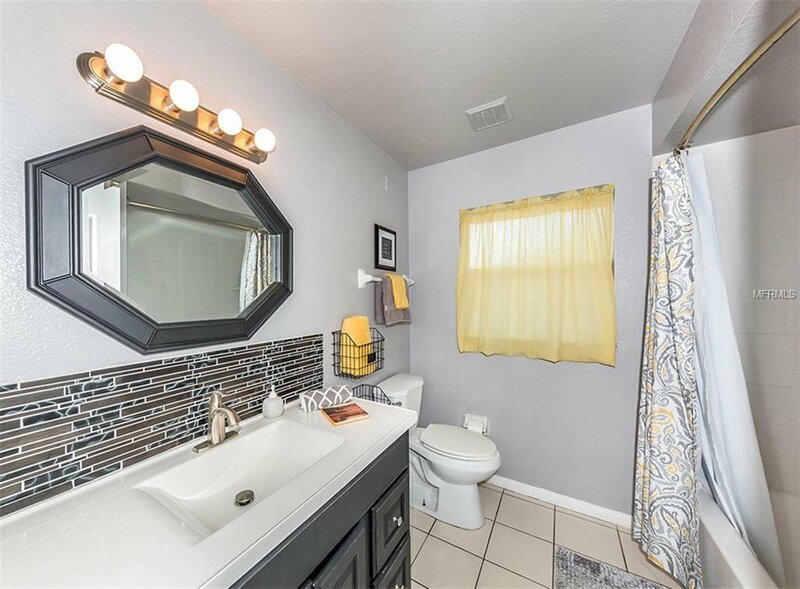 Convenient location, close to schools, shopping and just 1/2 mile to the Loreto boat ramp, just over a mile to the Legacy Trail, 3 miles to historic downtown Venice and less than 4 miles to the beach! 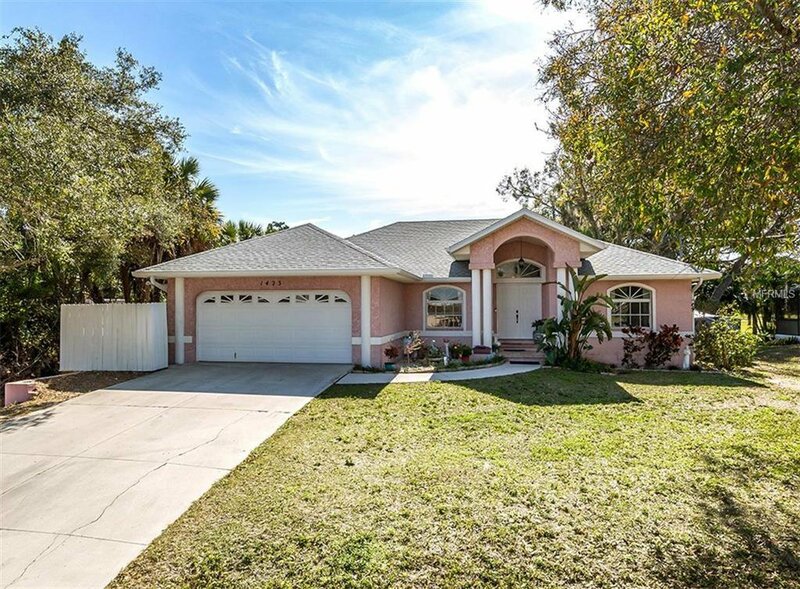 Equity is already in this home as it is listed under recent appraised value! 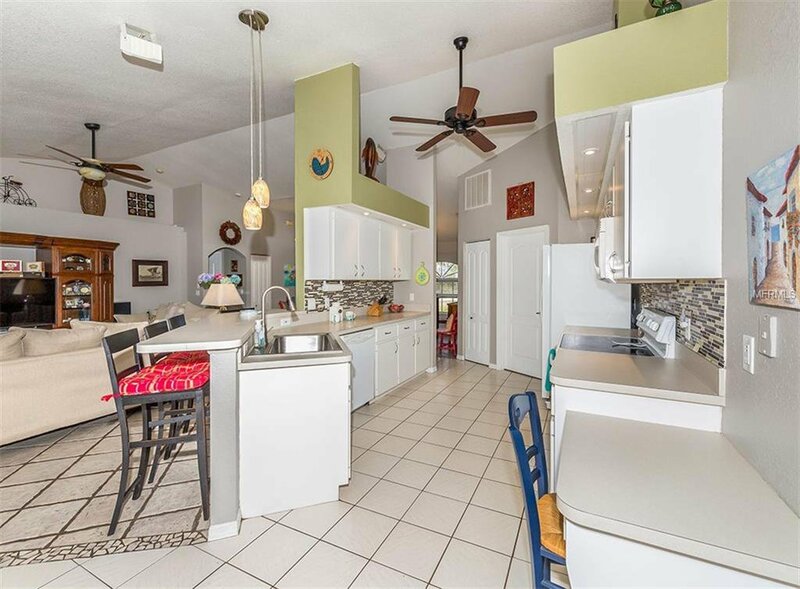 Listing courtesy of GULF SHORES REALTY.